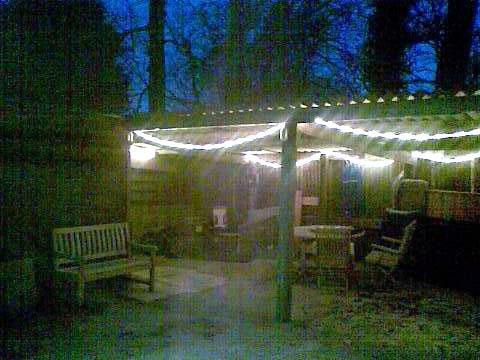 I have my own studio available for hire in a converted stable building pretty much in the middle of nowhere (but fairly near Gerrards Cross). 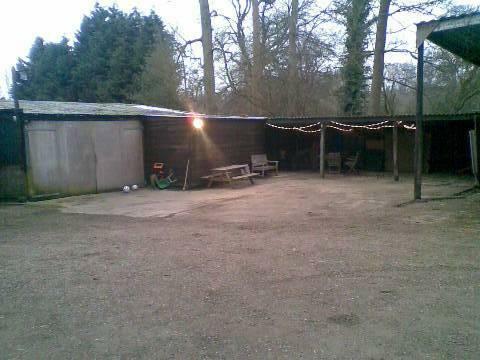 It's pretty unique and provides a great atmosphere away from everything, and has certainly provided some great inspiration for recent work. 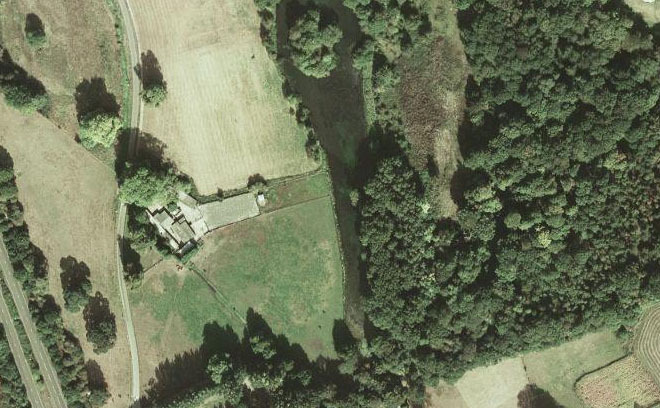 The location is great, in the middle of Colne Valley park - a designated conservation area of outstanding natural beauty and home to a wide variety of lesser seen wildlife, on the edge of the forest, next to a lake and bang in the middle of some stunning scenery! All this, and it's only 24 minutes from Central London by mainline from Gerrards Cross station. 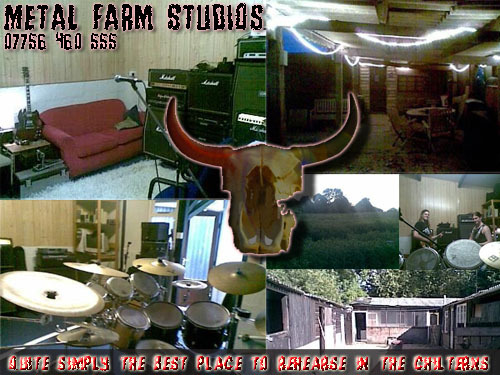 Clients past and present include Shellshock, Empyreal Destroyer, Pause, Primitive Graven Image, Divine Chaos, Soze, Lehanica, Emperoar and many other local bands. 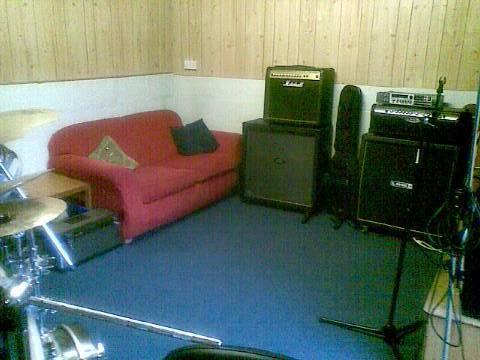 The live room is a comfortable size - 5.5 metres by 3.5 metres and great for rehearsals for all types of bands. 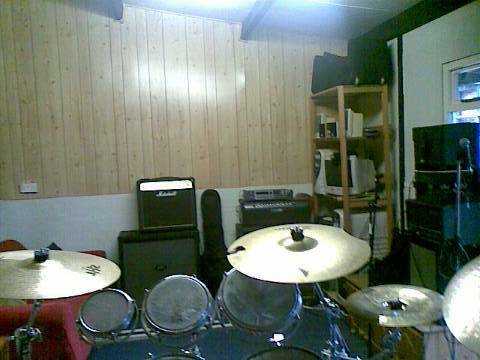 The lower half of room is stone, the upper half wood, and provides a great sound for recording live drums as we've recently discovered. 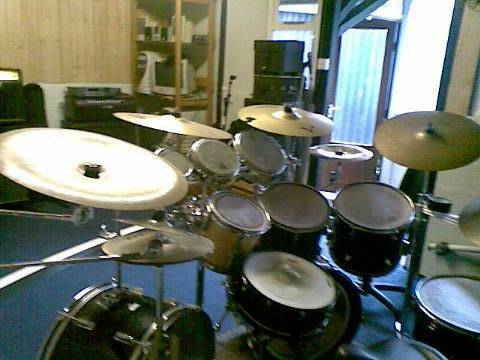 Various backline is available including drums, amps and a basic 6 channel PA.
For recording the same room is also available, and screens are available to allow you to deaden or isolate sound sources. 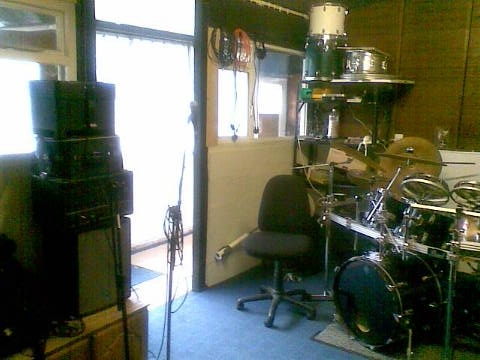 Whilst there isn't a vocal booth as such using the screens produces the desired effect. Other rooms are also available including one made completely of stone. 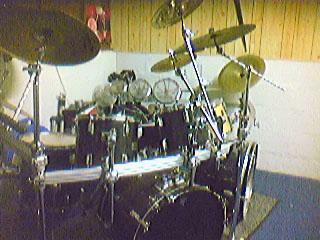 Rehearsal rates are good at just £7 per hour or £50 per full day. 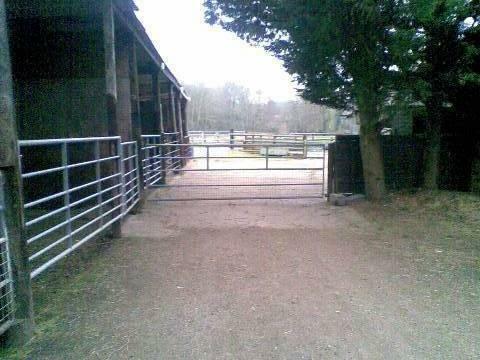 This gets you the use of the majority of the farm inc. full kitchen and free tea and coffee. If you drink as much as I do sometimes, you will find this pays for your session:) Long days and overnight sessions are available by prior arrangement as we are situated in a working stables environment and need to notify certain people about noise levels some times. Night times though are always good as we are very isolated. Please mail mattplatts@gmail.com if you are interested.